It’s that time of the year: the footy’s just over and the racing season is in full swing. We do love a contest. For some of us The Big One, Australia’s richest sing-off, easily eclipses trophies and cups, no matter how splendid. In the more congenial setting of another artistic event, the Melbourne Festival, the Herald Sun Aria continues to draw the crowds and make hearts beat faster – and certainly not only the ones on stage. Whether singing competitions are a boon or a scourge is a moot point. Up until 2000 contestants for this prize sang two arias with piano accompaniment. Cynics claimed that trotting out your party pieces with only a piano to act as an orchestral force to be reckoned with was a pretty inadequate way of judging whether a singer would be capable of sustaining a career on the operatic stage, even if the accompanist was somebody as distinguished as Stephen McIntyre, who accompanied singers for the finals in the early eighties. The introduction of Orchestra Victoria under the expert baton of Richard Divall at least put paid to that criticism. The move to Hamer Hall also meant that a sizable space needed to be filled. 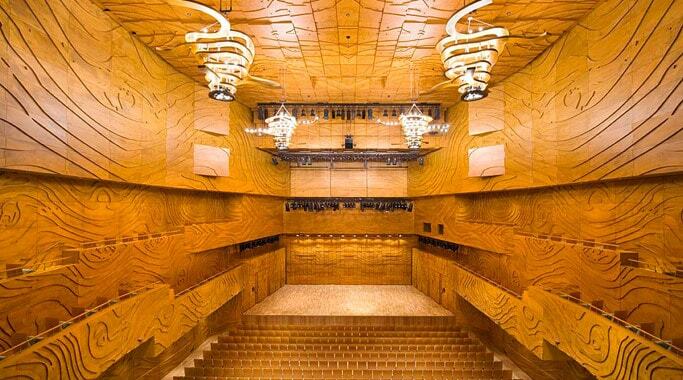 Not that the Melbourne Town Hall was without its acoustic challenges for a singer. The track record of Aria winners would suggest that, more often than not, the adjudicators were on the money, picking singers who did end up having important and occasionally spectacular careers. Kiri Te Kanawa is the standout, but Sylvia Fisher, John Pringle, Jonathan Summers, Daniel Sumegi, Amelia Farrugia and Rachelle Durkin are among those who have made their mark internationally. Many others have made their living from singing, either as performers, teachers or a mixture of the two. Some are performing with Opera Australia to great acclaim, such as Nicole Car (2007) and John Longmuir (2009), whilst others are the mainstay of local productions. Just this year Brenton Spiteri (2012), Barbara Zavros (2011) and Lee Abrahmsen (2010) made Melbourne Opera’s production of The Pearl Fishers the great success it was. The list of achievements of winners and finalists is very long indeed and it could be argued that the prestige and money attached to the Herald Sun Aria and similar competitions, such as McDonald’s Sydney Eisteddfod and the Mobil Quest, as well as a variety of international competitions, have been instrumental in providing exposure, opportunities to perform under pressure and the wherewithal to pursue further study. In the past, those who could not attend singing competitions made a point of tuning their wireless sets to hear the likes of Joan Sutherland, June Bronhill and Nance Grant wow their audiences. Nowadays, the broadcasts are less mainstream events, but hearing the 2014 Herald Sun Aria the following night on 3MBS was a happy reminder of what Richard Divall called the best finals line-up that he had experienced in his fourteen years of involvement as conductor and adjudicator of this competition. For many, the biggest thrill of these competitions is to discover the kind of voice that has the hairs on your arms standing to attention. And that is what happened in this 2014 ninetieth anniversary edition of the Herald Sun Aria. Admirable as the winner generally is, it is sometimes the runner-up who impresses most. There are a few relatively recent examples where you think that coming second may not be such an important matter if they came second since the vocal quality was sufficiently outstanding to ensure a significant career anyway. Along with this year’s Lucinda-Mirikata Deacon, who produced the most beautiful, opulent legato, Lorina Gore, Sally-Anne Russell and the wonderful Deborah Riedel spring immediately to mind. The judges’ decisions on the night were understandable, but many who heard these voices knew the singer they would be willing to pay money to hear again – and again. Apart from the vocal quality and the artistry of the singers, the choice of repertoire is sometimes an issue. Looking back at past programs, it would seem that Mozart, Donizetti, Verdi and composers of verismo opera comprise the bulk of choices. From the twentieth century, Menotti used to be in favour, particularly Magda’s aria from The Consul and the occasional piece by Stravinsky (Jocelyn Hickey won the 2004 Aria with Anne’s aria from The Rake’s Progress) and Britten (Kathleen Connell with the Embroidery aria from Peter Grimes in 1986). All this is fair enough given that these are the operas that are most performed in opera houses around the world; they are the operas that put those posteriors on seats. Although the specific choices made by singers are not always wise, most are designed to showcase individual vocal, musical and dramatic strengths. This year’s Aria included works by Purcell and Handel, thanks to the very talented young counter tenor, Maximilian Riebl, who was a popular choice for the Encouragement Award, as well as Weber, Gluck and Wagner. Perhaps this indicates that the general public is acquiring a palate for more unusual fare. As with the Melbourne Cup, The Dress is an important component of the event. This year, satin was mercifully bypassed in favour of less revealing fabric. The winner, soprano Kathryn Radcliffe, certainly dressed to impress with a gorgeous, flowing confection of what appeared to be green Thai silk. The décolleté was perhaps more suited to Violetta than Lucia, but the total effect was magnificent nonetheless. Over the years, the equal of the GNP of a small country must have been spent to kit out the ladies in such finery. As for the gentlemen, well, nothing shows off the manly figure to greater advantage than tails. The compere and the entertainment presented while the adjudicators deliberated have also become features of this event. This year, Christopher Lawrence did his best to fill the shoes of long-time compere Bob Hart and the junior voice students of the Victorian College of the Arts Secondary School gave an astonishingly assured performance of the sublime trio from Cosi fan Tutte, arranged for them by their tutor Dermot Tutty: a fitting end to an exciting evening of song and a reminder that there are talented youngsters waiting in the wings. We have much to be grateful for when it comes to singing competitions. The Herald Sun Aria sprang from the desire to commemorate the gallantry of soldiers who lost their lives in the service of their country. It was about the future and hope. It would be difficult to find anything more appropriate to mark their sacrifice than an event that celebrates beauty and aspiration in the form of great vocal music. Those who have continued to support this endeavor, The Royal South Street Society and the Herald and Weekly Times Limited have the gratitude of those who enjoy the fruits of their very tangible support. Editor’s note: Heather Leviston attended the Final of the 2014 Herald Sun Aria at Hamer Hall on October 28. Read the Herald-Sun’s story about this year’s winner (pictured). Classic Melbourne was pleased to receive the following “insider” report from VCASS student, Hayley Edwards. Thanks, Hayley, for giving us insight into this exciting event! This year the Herald Sun Aria celebrated its 90th anniversary. I was lucky enough to watch the competition’s final for the first time. A small group of junior classical vocalists from the Victorian College of the Arts Secondary School were invited to perform during the judge’s deliberations. I was inspired by the vocal technique of the competitors. The strength they used to create the seemingly effortless sound was impressive. Orchestra Victoria supported the vocalists. These musicians were incredible, as was the man who led them, Maestro Richard Divall. Each vocalist brought something starkly different to the stage. Their performances were all captivating, pulling off impressive repertoire. The night featured four sopranos voices, a tenor and one young counter tenor; languages they covered included English, German and Italian. The emotion and stories were told beautifully through each performance, the artists working well with the other musicians on stage. Unfortunately, we were only able to watch the first half, though we could hear the other pieces as we warmed up off stage. 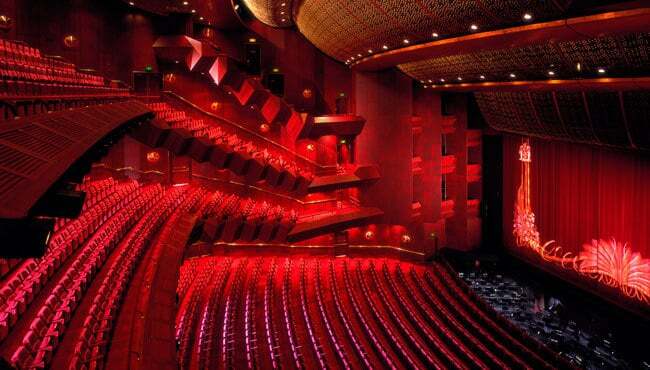 It was an honour to perform to a packed Hamer Hall. This was also quite nerve-racking, knowing the number of professional singing teachers, musicians, opera lovers, past winners and competitors who were in the audience. As this was the first time I’d been to the Herald Sun Aria Finals, I almost forgot that it was a competition; it felt more like a recital. I was very glad that it was not me making the decision of who the scholarships would go to, as I genuinely believed that they were already fantastic vocalists, worthy of the prizes on offer. The entire experience was very inspiring; making me realize how large and supportive the opera community is. The Herald Sun Aria Final is definitely something I look forward to attending again.